What kills the wind industry is facts; including the fact that rural communities are fighting back, simply because THESE THINGS DON’T WORK at any level. Here’s a tale from the Emerald Isle that combines just about every pertinent fact, of the kind that spells inevitable doom for the wind industry and its parasites, everywhere. 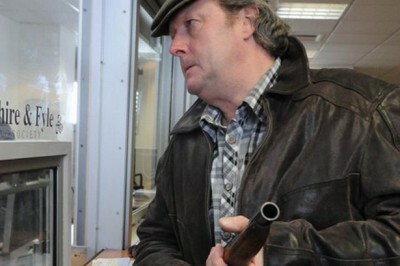 A war is taking place in rural Ireland. Not one with guns, bullets or bombs but with wind turbines and pylons. Families are being forced to move out of their homes due to the negative health impacts of these giant industrial monsters. The enormous turbines make so much noise, people who live near them cannot sleep. Prolonged exposure to this low frequency noise causes insomnia, headaches, nosebleeds, anxiety and a general inability to function normally. Children are especially vulnerable. Were you ever in the toilets of a night club and noticed how you could feel the base drum in your chest – that’s low frequency noise. Imagine your children trying to sleep with that sensation. Shortly after a turbine was built 1.6km from their home, one Co Cork family noticed their kids falling asleep at breakfast. This quickly became a rush to hospital with severe headaches and nosebleeds. This family was forced to move from their home. Thankfully, once at a safe distance away, they eventually returned to full health. The wind developers denied liability and are facing legal action. Meanwhile, this family can’t live in their home and can’t sell it because once a windfarm is built near a home, the value plummets. Families are effectively being evicted by these developers. But who can they turn to for help? Who is protecting our families, our children? Alan Kelly is Environment Minister and it is his department’s job to make sure proper guidelines are in place to protect us. But the wind industry is a cruel business and is forcing the Government to ignore the problem. These turbines are so big – up to 185m. If you laid this out flat in Croke Park it wouldn’t fit in the stadium. Labour Minister Alex White certainly isn’t helping. He has been heavily lobbied by the wind industry not to publish guidelines so they have effectively blocked any measures that would help prevent this terrible situation where families all over the country are being made so sick they have to leave their homes. Mr White says we can’t put anything in place that might impinge on wind developers because it’s the only way to meet renewable energy targets. 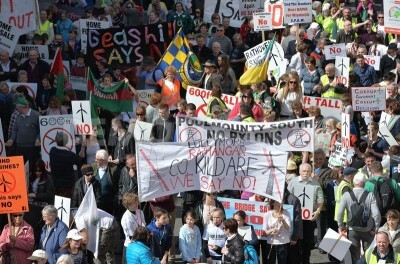 But opponents point to a fully-costed and assessed plan to convert Moneypoint power station in Co Clare from coal to sustainable biomass as a viable alternative. If this was done, there would be no need for the massive grid upgrade with towering pylons snaking through the countryside to carry the power from the wind farms. And we would save the country almost €3.5billion. That’s almost €2,000 for every single worker in Ireland – €2,000 of your taxes wasted on pylons we don’t need. But it gets worse. You also have to pay for the expensive electricity created by all these wind farms. Look at your next ESB bill, see the PSO levy – most of it is meant for the wind developers. Another way of taking money out of your pocket. 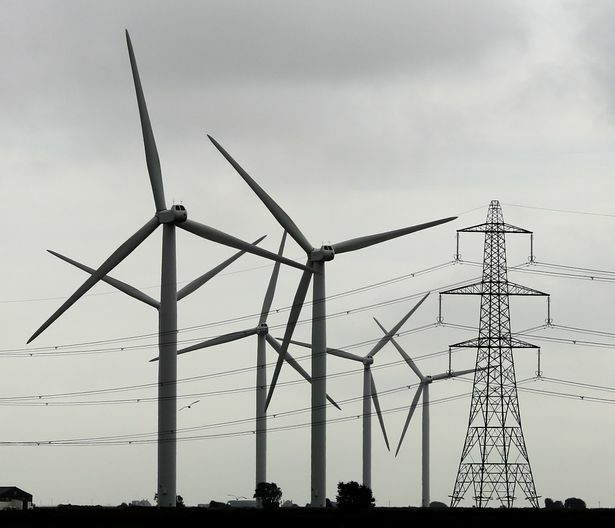 Converting Moneypoint could be done for a tenth of the cost of the Government’s plans for all the turbines and pylons. Mr White admits, incredibly, they’ve never even looked at this alternative. Besides the tragedy of families having to move from their homes, all of us have to pay huge electricity prices. We have the third highest in Europe, mainly because of the cost of wind energy. Contrary to popular belief, it turns out wind farms are not even good for the environment, giving us tiny CO2 savings. So much for the “green, clean” image – turns out it’s a marketing slogan churned out by public relations gurus. If there’s one thing this country can be really proud of is our truly world-class racehorses and stud farms. This energy policy will destroy our bloodstock industry which directly employs 15,000 people. That would be a devastating loss for our country. Government energy policy is to turn our beautiful country into a pin cushion of massive industrial wind turbines, pylons and power lines. No benefit for the economy, no benefit for the environment, and definitely no benefit for the ordinary working people. It’s time this Government called a halt to the marching terror these wind farms and pylons are bringing to all corners of the country. Time to stop the war that is being waged on our landscape. Until that happens, nowhere is safe. Faux-green, fighting wind turbines, Harm to Children, Health, Noise & Infrasound, not financially feasible, Return to sanity! ← There’s Much Going On, That Government’s Are Covering Up! We Have the Right To Know!